MĀ TELPA (MA SPACE) is a new initiative and is open for local as well international artist's residencies (since 2016, October). However the creative team of MĀ TELPA is a very experienced in the field of performing, interdisciplinary arts and arts therapy as works for it more than 10 years. The main concept of MĀ TELPA is a building an interaction, strong synergy between contemporary arts and therapeutic potential of the arts. Also “Adults Education Centre”, focusing on studies of Perfomance Art (since 2017), is mainly directed by the creative team of MĀ TELPA. MĀ TELPA piedāvā mākslinieku rezidences vietējā un starptautiskā mērogā. Aicināti mākslinieki, kas darbojas starpdisciplinārās un laikmetīgās mākslas jomās, īpaši uzsverot procesuālo mākslu, butō, nō, fizisko, balss, dejas, postdramatisko teātri, audiovizuālo performanci, skaņu mākslu, laikmetīgo un vides deju. Tāpat aicināti starpžanru virziena pētnieki (neirozinātnieki, mākslas terapeiti, antropologi u.c. ), kas savā darbībā integrē kā mākslas, tā cilvēka psihofiziskās izpētes aspektus. MĀ TELPA ir ieintersēta pētījumos, kas skar arhaisko un pirmatnējo aspektu, pārradot to laikmetīgā mīta formā. Rezidence piedāvā sadarbības iespējas ar performances mākslas grupu IDEAGNŌSIS, kā arī zinātniskas konsultācijas ar mākslas terapeitiem. The aim is to support the development of contemporary and interdisciplinary art, especially there are welcomed artists working with performing arts, audiovisual performance, processual art, butoh, physical, voice, dance, postdramatic theatre, acoustic art, site specific and contemporary dance, neurosciences, arts therapy related, and body-mind approaches. MĀ TELPA is interested in interdisciplinary artists and scientists, who creates on crossroads of different media, science, and arts. The interdisciplinary art entails learning about the world and human nature through the creative process. It links written, visual, media, dance, theatre and performance art, and explores the meaning and potential arts, across diverse social and cultural settings. The main emphasis of the residency is the research on the creative potential of human’s body-and-mind using knowledge of neuroscience, mindfulness, art therapy, psycho-physical approaches as a way of getting new knowledge about human beings as well finding therapeutic potential of contemporary art. On the other hand the centre would like to support contemporary art which is strongly rooted or inspired by an archaic, primordial and/or traditional arts. We believe that contemporary society suffers from lack of identity, and self-awareness and artists may re-create contemporary form of myth. MĀ TELPA Artist Residency is administrated by non-governmental & nonprofit association “Laboratory of Stage Arts” (founded in 2005). The main aims are development of interdisciplinary, performance art, also the organization of small scale festivals, workshops, producing of performances and audiovisual exhibitions, publishing of books, producing of artist's residencies and education in the arts. The Artist's Residency program also offers creative collaboration with local performance art company IDEAGNŌSIS. The meaning of IDEAGNŌSIS can be traced back to the search of the insight, enlightenment, intuition, divine knowledge and cause of anything. Participants of the group are both established and emerging artists, students and professionals, representing different cultural and scientific fields. The group produces interdisciplinary performances and site-specific works. It thrives on collaboration with foreign and local artists, organize body-work, body-voice workshops and summer camps for professional development. MĀ TELPA is located in the centre of Riga, urban setting, vivid and creative quarter called “Miera street's Republic” which is famous for its artist's galleries, cozy cafes, stylish shops and other creative initiatives. This area is also known for its peaceful spirit, because Miera street is located slightly away from the noisy and busy part of the town. MĀ TELPA is located just 15 minutes (by car or bus) from the Central Bus and Train station, also around 40 minutes (by car) from the nearest Riga International Airport. 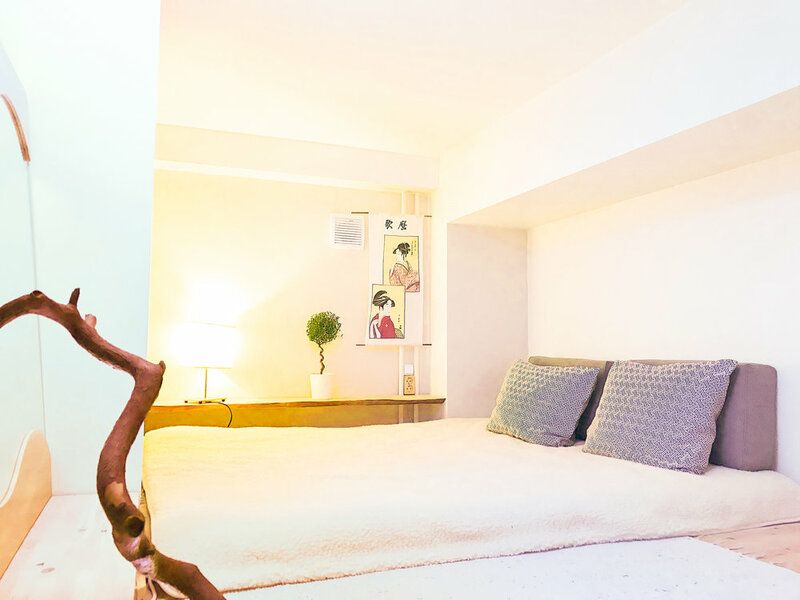 MĀ TELPA offers comfortable studios and living space which is designed for Latvian and Japanese style. Free Wireless Internet. 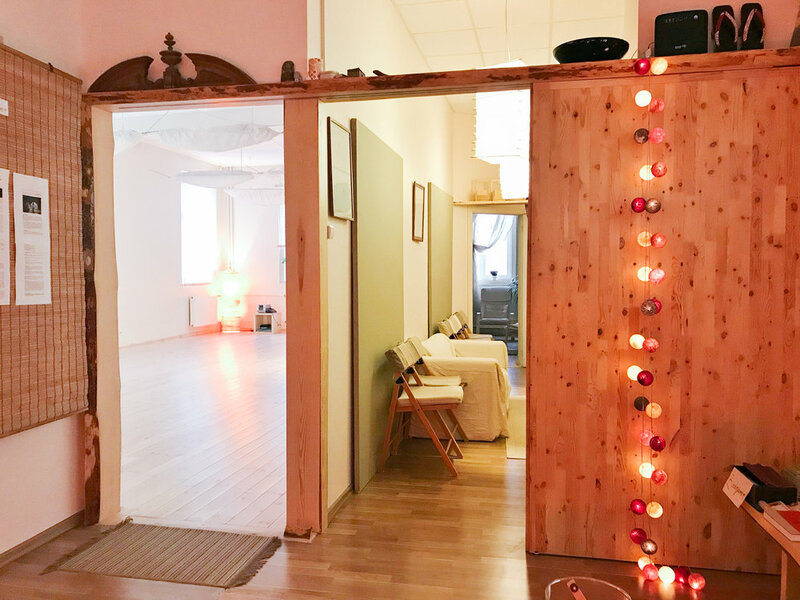 Large studio (55 m²) – wooden (pine tree) floor, high ceiling (3.50 m), shelves for materials and props, music technique (CD, PC), simple stage lights (2-3), video projector (1). Dance floor (50 m²). Lielā zāle (55 kv.m) – priedes koka grīda, augstie griesti (3.50 m), plaukti rekvizītu novietnei, mūzikas apratūra (tumbas, vads PC, diski), skatuves prožektori (2 gab. ), video projektors (1 gab.). If it is necessary, it is possible to combine both studios in one, because the wall between them is removable (65 m²). Ja nepieciešams, abas telpas iespējams apvienot (siena ir izņemama), tādējādi iegūstot 65 kv.m. telpu. Kitchen – simple equipment with all necessary for life: fridge, microwave owen, induction cooker. 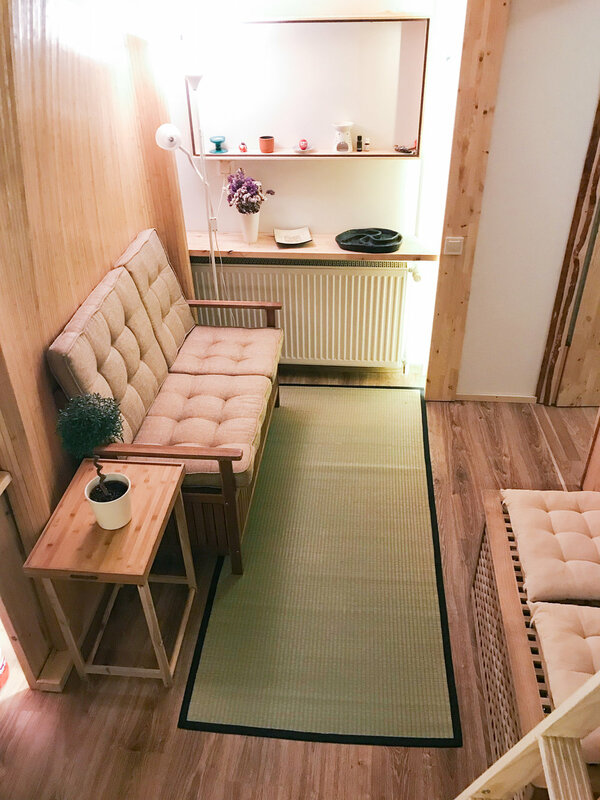 Small studio (10 m²) - wooden (pine tree) floor, high ceiling (3.50 m), chairs (2), sofa (1). 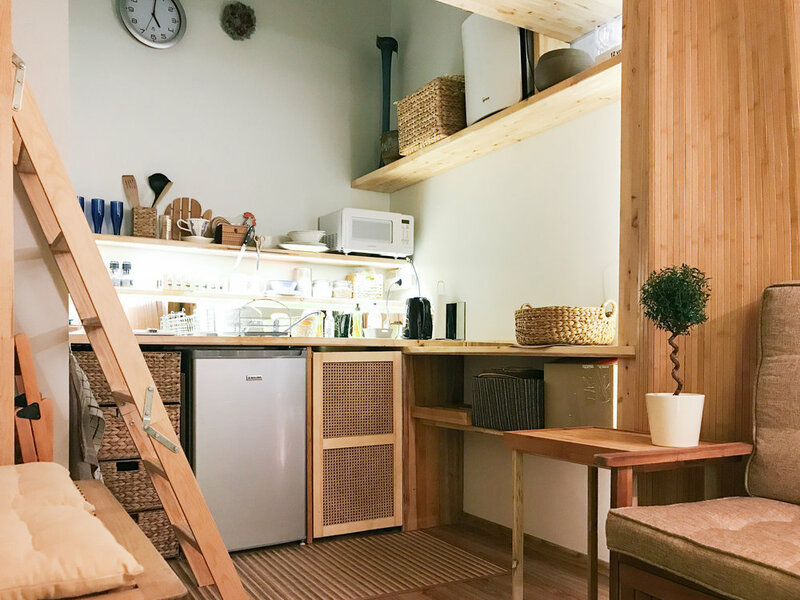 Private room in the loft – designed in Japanese style, small and cozy room for thinking, dreaming and sleeping. Dzīvojamā istaba japāņu stilā – istaba izveidota virs virtuves otrajā stāvā. Maza, tomēr jauka un omulīga telpa atpūtai, sapņošanai, domāšanai un miegam. Residency can offer places for 1 or 2 artists (at the same time) all year, preferably during June,1-September, 15. Lengths of residency can be starting from 1 week till 2 month. It is also available other dates. In this case we suggest to contact MA TELPA Artist Residency. The artist must submit CV, portfolio, artistic statement, as well plan of residency. The artist must be ready to give a workshop or masterclass during the residency period as well to present results of residency (in the form of lecture, performance or work in progress) for local audience. Currently artists will be selected by the artistic team of MĀ TELPA. Lūdzam atsūtīt savu CV, portfolio, māksliniecisko pieteikumu, kā arī rezidences norises plānu. Pieteikumus izskata MĀ TELPA radošā komanda. 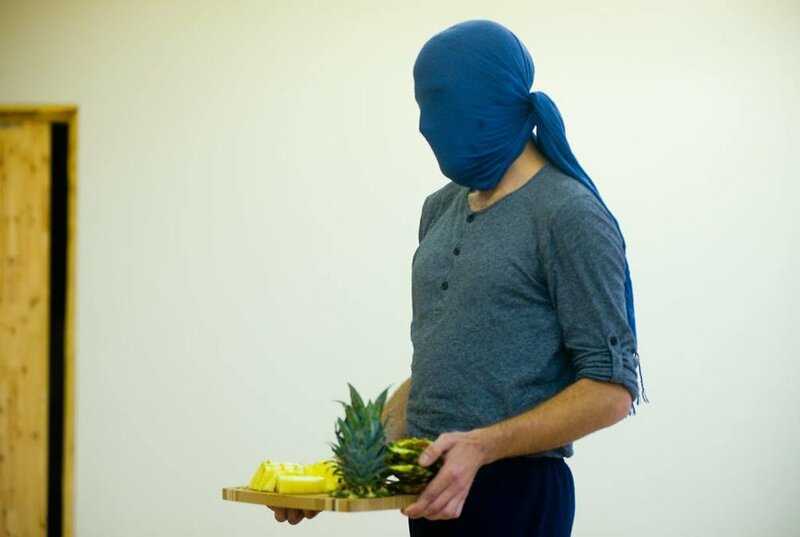 Aim & Result of Residency: The main aim was collaboration between Vassvik Torgeir, Jordi NN (videoartist, Spain), Latvīte Cirse (kokle player, Latvia), and performance art group IDEAGNŌSIS. As a result - creation of multimedia performance “The Bearman”, based on Latvian and Sami music, as well butoh dance and other cultural references. As the central image of the performance and the main archetype of man as well for the Northern as Latvian culture is a Bear. Finally, it was a contemporary story about becoming the Bearman. The premiere was held in H2O6 Architecture & Media Centre in Riga. The project was organized by “Laboratory of Stage Arts”, The Culture Management Centre “Lauska”, supported by Riga Council programme “Creative Quarters”, RISEBA University, Norden Kulturkontakt Nord Mobility, New Media Art Festival I-WEEK, and hosted by MĀ TELPA. About: Torgeir Vassvik is a professional Norwegian Sami musician and composer. Vassvik combines yoik and overtone singing with drumming, traditional instruments, and nature sounds. His music is often described as powerful, dreamy and innovative, delivering a unique experience to the listener. Vassvik performs in a quartet format, and has created a band based on material from the two CD’s "Sáivu" and "Sápmi" and newer pieces. This venture has been very successful and he has performed a series of concerts and festivals in France, Poland, Lithuania, Estonia, Japan, Germany, England, Sweden, Russia, Siberia (Tuva), Belgium, Iceland, Hungary and Norway. Aim & Result of Residency: The Residency was focused on research work, creation of a new solo piece. The first week was dedicated to improvisation with materials connected to memory work, specifically around the sensory-memory of the body. Week two was established the key elements from the research to be used an access-points into physical material, that will be transformed by the body into dance. Week three was dedicated to the flowering of the piece. As a result Ady made work-in-progress presentation of his new solo in the form of performance – discussion “If we don't heal we stay wounded”. As well, there was three days masterclass “Instant Composition” and regular morning classes for local dancers. 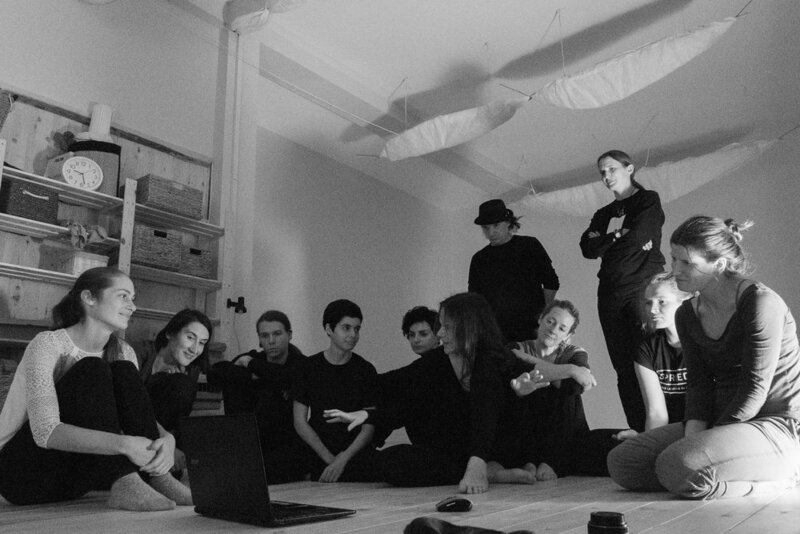 The Residency was supported by Israeli Embassy & the Latvian Culture Capital Foundation, as well produced by “Laboratory of Stage Arts” and hosted by MĀ TELPA. About: Ady Elzam is a professional dancer, teacher and choreographer, with a deep technical background in contemporary dance, improvisation and performance. Ady believes art should challenge and inspire, both the artist as well as the spectator. As a preforming artist, he’s motivated to cross borders and question the norm in relation to the audience. He trained at the modern dance academy in Haifa and continued to dance in Vertigo Dance Company and DeDe Dance. For many years Ady has been exploring movement dynamics in partner work, his main interest is in the communication that creates clear understanding between partners, as if no words are needed. This applies also to the relationship of the observer and the observed. As a performer, he’s interested in the artist’s ability to expose oneself, evoke emotion in the audience, and the connection between the two. Aim & Result of Residency: Oki Kano, together with famous Latvian kokle player Laima Jansone and performance art group IDEAGNŌSIS did collaboration, based on investigations on Ainu and Latvian culture. Also Oki toured with solo concerts as in Latvia as Lithuania. As a result, there was a performance/work in progress based on Ainu and Latvian stories as the first stage of the project. The project was supported by The Japan Foundation, produced by The Culture Management Centre “Lauska” (Latvia) and hosted by MĀ TELPA. About: Oki Kano (加納 沖 Kanō Oki) known professionally as OKI, is an Ainu Japanese musician, from Kanagawa Prefecture. After graduating in crafts at the Tokyo University of Fine Arts and Music, he moved to New York in 1987, where he worked as a special effects artist on film productions. He returned to Japan in 1992, and was presented with his first tonkori - the traditional stringed instrument of the Karafuto Ainu. His contemporary approach, which fuses Reggae, African and Electronica with Ainu folk melodies, has won praise, not only in Japan, but also worldwide. Kamuy Kor Nurpurpe (1996) / Hankapuy feat. Umeko Ando (1999) / No One's Land (2002) / Dub Ainu (2004) / Tonkori (2005) / Dub Ainu Deluxe (2006) / OKI Dub Ainu Band (2007) / SAKHALIN ROCK (2010).